Digital Xbox One version reviewed. 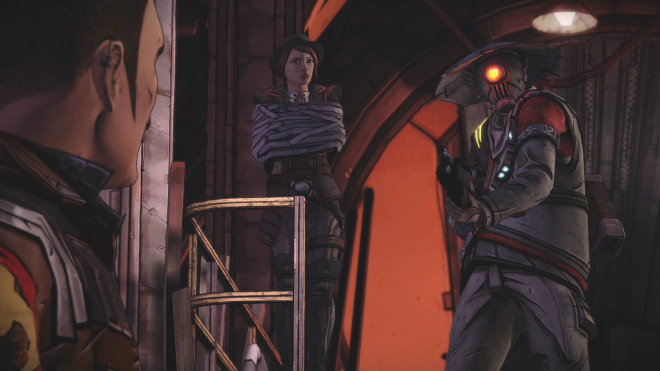 There are some spoilers in the review for the overall series, and for the 'Borderlands' games. 'Vault of the Traveler' is the fifth and final episode in the 'Tales from the Borderlands' series, following 'Zer0 Sum', 'Atlas Mugged', 'Catch a Ride', and 'Escape Plan Bravo'. Unlike some other Telltale series, 'Tales from the Borderlands' has had a long roll-out, but, with its odd narrative timeline, the results have been worth the wait. 'Tales from the Borderlands' may be the best Telltale series in terms of attracting fans that normally wouldn't necessarily be interested in the base property. The last episode, 'Escape Plan Bravo', was a bit more serious than I was expecting from the relatively lighthearted 'Tales from the Borderlands'. It has retained a comic element throughout, but is not content to rest on its laurels as merely a comedy. Even as the writing stays whimsical, the characters have emerged as unlikely and believable heroes, or at least reluctant ones. Telltale has managed to weave together mirth, sorrow, and victory into one last, grand outing for Rhys, Fiona, and their wacky ilk. Since the beginning of 'Zer0 Sum', Rhys and Fiona have been held captive by a mysterious, masked stranger. This episode finally reveals his identity and motivations as we move into the present - the entire series has thus far basically been one long flashback. All of the decisions that I made were brought together and leveraged into my choice of helpers for the final mission, from the odd vault hunter to antagonists to relatively minor characters. The characters who were unavailable from the choices I had made were also shown, along with the reason for their unavailability. This is a bit different from Telltale’s usual model, where decisions are shown after an episode and compared to the playerbase at large. Still, I enjoyed the change, and it helped me remember some of the high points from previous episodes. The characters developed in surprising ways this episode. Because the timeline jumps ahead several months, and most of that time is off-screen, it gives the writers the chance to bring something new to the table. Despite all of the issues they’ve had in their odyssey together, the heroes have gone from outright dislike of one another to close friendship, almost family. Most of the action in 'Vault of the Traveler' revolves around trying to access said Vault, as you might expect. Prior to this episode, the main characters were attempting to open it out of greed or necessity, as Vallory or some other villain was forcing them. Now, of all things, they want to open it out of love. If it sounds like I’m trying very hard to avoid spoilers while remaining cryptic and yet informative, and not doing a very good job at it, that is absolutely correct. 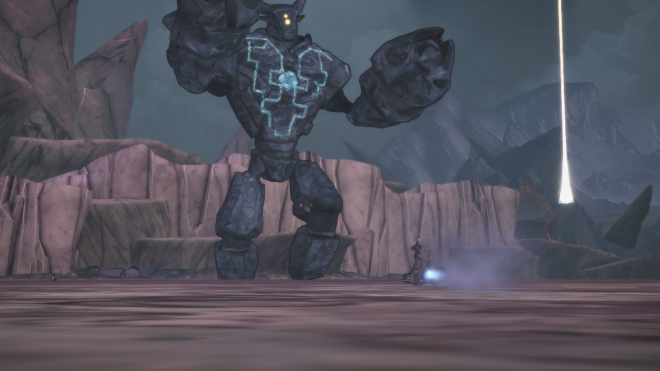 Suffice to say that 'Tales from the Borderlands', while never being a slouch, has gone from a strange bedfellows-type collaboration between two disparate studios to one of the best adventure games this year. Of course, of the many difficulties involved in opening a Vault, one of the most serious is its guardian, typically a Godzilla-sized creature of incredible age and power. The Traveler’s superpower, much like the Vault it guards, is teleportation. This makes accessing the Vault’s treasures very difficult. The planning and execution of a plan to defeat the Traveler consumes most of the effort of the episode, and has probably the most quick time events seen thus far. It almost gets to be a bit much, but the teamwork that goes into the whole thing is fun to watch, even inspiring at times. 'Vault of the Traveler' has by far the worst framerate exhibited in this season or perhaps any Telltale game to date. It was egregious, almost unplayable during most of the Traveler mission. This is the one thing that spoiled it from being a nearly perfect episode. While the writing and narrative are awesome, engine problems threatened to ruin almost a third of it. Outside of that particular mission, which is long, the engine was more or less on track. The soundtrack has gotten increasingly better as the series progresses, particularly the licensed tracks that are often used for comic effect during montages or credit scenes. The western-style guitar riffs that have been a staple of the source franchise are always present and preserve Pandora’s post-apocalyptic pioneer spirit amongst all of the jokes and buffoonery. The problem with replaying the final episode of an adventure game is that in order to have any real impact on the overall direction, the rest of the series should probably also be played. 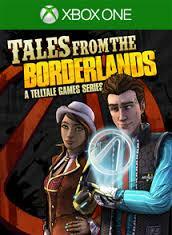 That probably won’t be a problem with 'Tales from the Borderlands', which has remained great since its inception. If for some reason you have any interest in adventure games and have not yet experienced 'Tales from the Borderlands,' now there is no excuse. 'Vault of the Traveler' is by far the best episode, even with its crippling stagger issues. In between the laugh-out-loud moments and the almost tearful, poignant moments of the underlying theme of friendship are a collection of witty jokes and awkward banter that any gamer can enjoy, not just longtime 'Borderlands' fans.